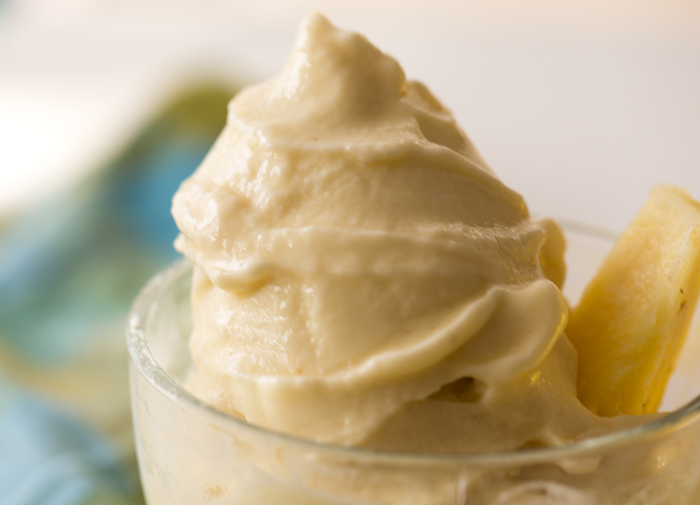 Raise your hand if you have tried Disney's iconic swirled frozen dessert, DOLE Whip? If you did raise your hand, you will know just why I am showcasing this sensually swirled, perky pineapple, sweet and silky dessert. 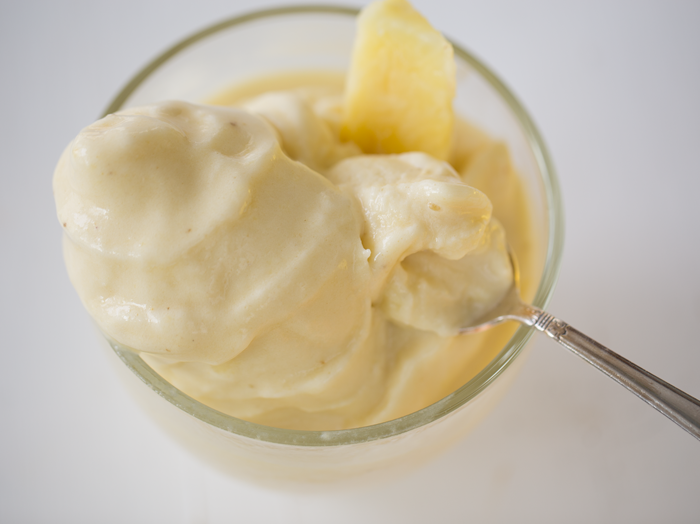 DOLE Whip is so cravable that you basically need a DIY, made-by-you, copycat recipe. If you did not raise your hand, well here is a little taste of the wonderment that is DOLE Whip. And I hope one day you can find yourself in line (probably a long, long line) to try the real thing. 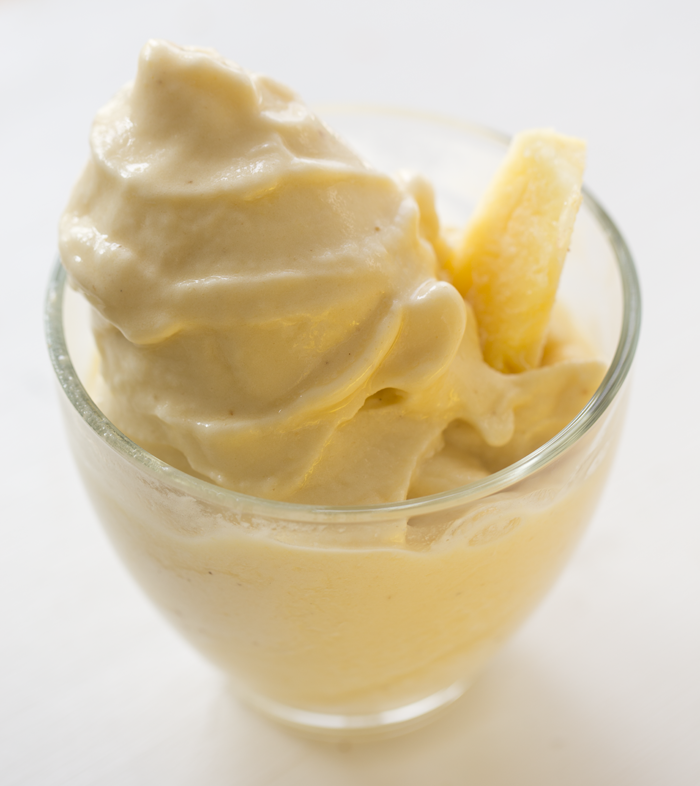 But for now, this frosty fresh pineapple recipe is a pretty fabulous substitute. 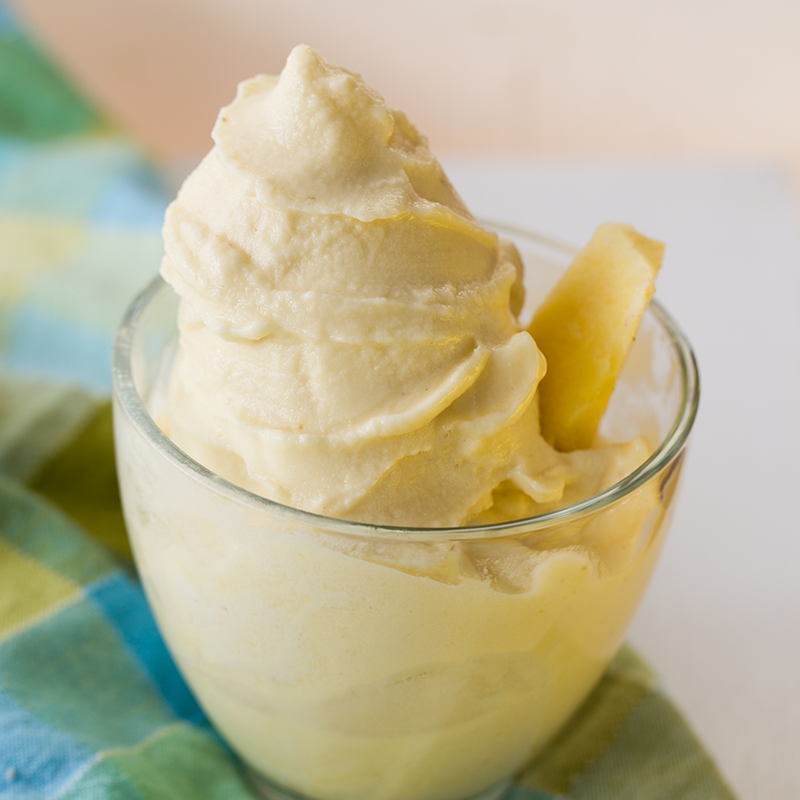 Get my recipe and dive into some pineapple whip, today!.. 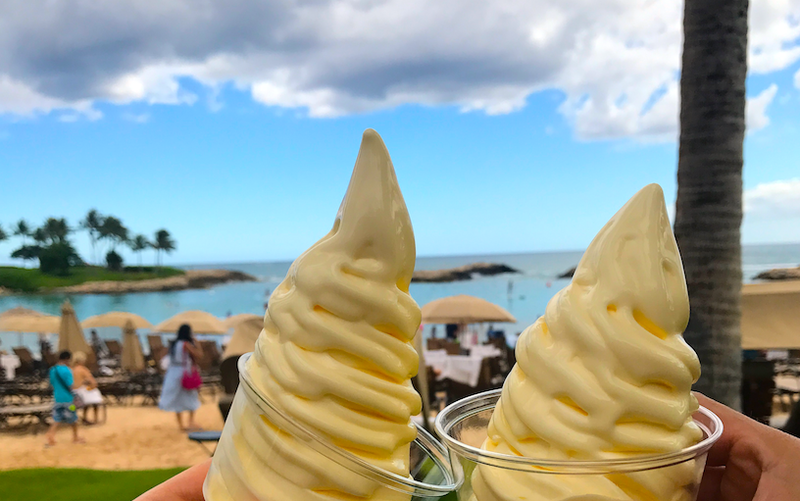 DOLE Whip in Hawaii, at Aulani, Oahu..
ICONIC. DOLE Whip is so iconic and amazing that it has its own T-shirts, its own cult fan following and at Disneyland, usually a line that wraps far around the Tiki Tiki Room, just inside the borders of Disneyland's Adventure Land - a short stroll away from the Indiana Jones Ride, as well as the Walt Disney statue, and Sleeping Beauty's castle. DOLE Whip + princess vibes? Yes, please. Yup, I love DOLE Whip. The original version is magically vegan, dairy-free, rich in real pineapple goodness and the yummiest thing at Disneyland (in my opinion) ... (and that says a lot, because Disneyland has a lot of yumminess.) PS. My second fave vegan thing at Disneyland: The tofu + rice bowls in California Adventure Park. - Fresh Pineapple. To achieve copycat recipe perfection and pineapple bliss, you MUST use fresh, cut-by-you pineapple. 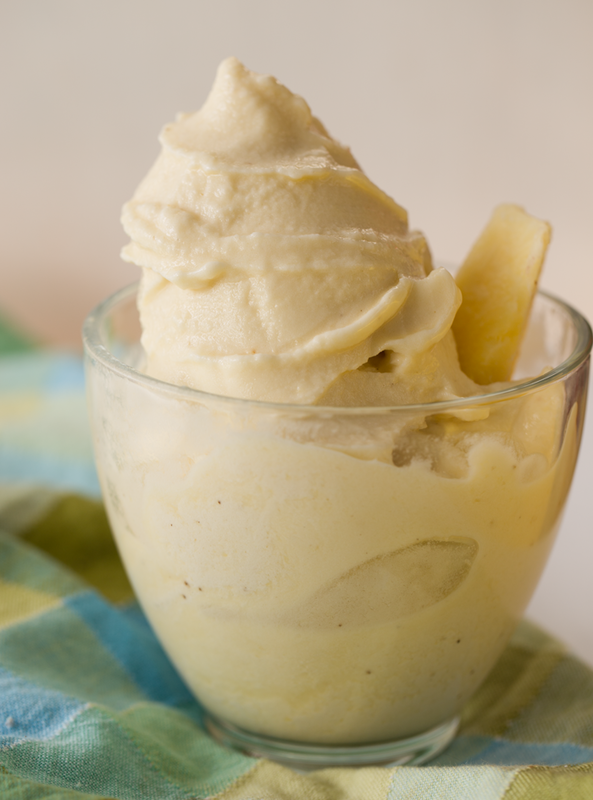 Fresh pineapple helps you achieve the bold pineapple flavor that is so imbedded in each DOLE Whip swirl. So head out to your grocery store, buy a pineapple, chop it up and stick it in the freezer. - Fresh AND Sweet. Make sure you pineapple is very ripe. You might even only want to chop up the bottom half of the pineapple for your DOLE Whip use, because the bottom half of the pineapple is always sweeter than the top half near the stem! Sweetness and sugars are most concentrated towards the bottom of the fruit. - Ripe Bananas. The same rule goes for the bananas that you freeze, wait until they are starting to get black-speckled to freeze them. This ensures that your WHIP is as sweet and creamy as possible. - The Liquid. Use a non-dairy milk that has some body to it, and contains some fat. I love soymilk. But for a very decadent swirl, try coconut milk. Just stay away from any of the "fat free" or "low in calories" non-dairy milks. Your non-dairy milk should have at least 60 calories per cup, in my opinion. Anything less is pretty watery, on average. Read my vegan milk review here for ideas. - Bonus Points. If you want bonus points via additional intense pineapple flavor, add some pineapple juice in there too. Fresh juice is best, but see what you can find at your grocery store. One fun idea is tofreeze pineapple juice into cubes to make pineapple juice ice cubes. Then add a few of those to your blender. Or simply add a few splashes of juice to your recipe. Just be sure to add enough frozen fruit to keep the thickness in tact! - Blender: A high speed blender is a must for super smooth and silky, thick and fluffy whip. 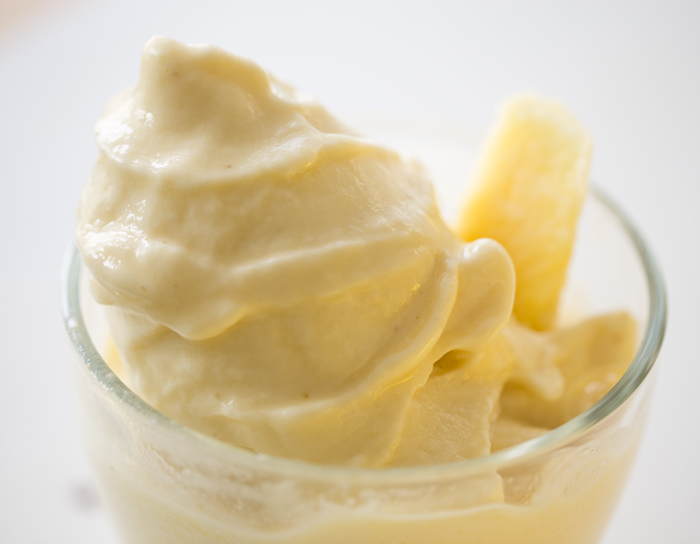 This is a copycat recipe for the yummiest dessert at Disney Parks, DOLE Whip! 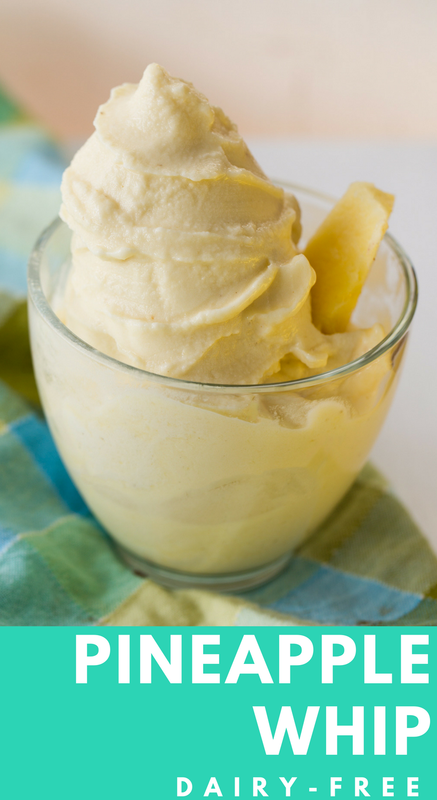 Rich in real pineapple flavor and goodness, this dairy-free frozen treat is sure to please! First you a pineapple, wait until it is fragrant and ripe, then chop it into cubes. Freeze the cubes. Also freeze your own ripe bananas. 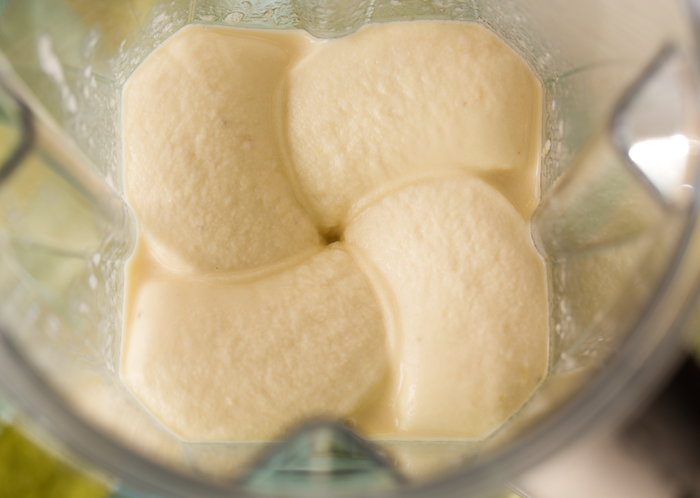 Place the pineapple, banana and 1/2 cup non-dairy milk in a high speed blender like a Vitamix. Place lid on and start blending from low to high. Continue blending and use your Vitamix tamper -- Vitamix is advised for achieving best results.) You want to add as little liquid as possible to maintain the frosty thickness, but add more liquid in small splashes as needed to blend. Pour the frosty whip into a serving cup, swirl on top with the back of a spoon and serve! Garnish with fresh pineapple if possible. Colorful umbrella optional. - Pineapples are a wonder healer. This sweet, tropical fruit is the only source of an enzyme called bromelain, which has been proven to reduce inflammation, provide pain relief and help skin injuries heal faster. It may even alleviate asthma symptoms. Do not forget to say hi to Elsa, after some DOLE Whip fun at Disneyland..